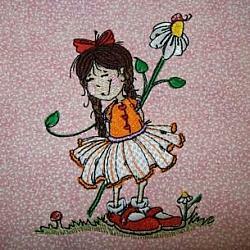 Love vintage ... doesn't everyone!!! 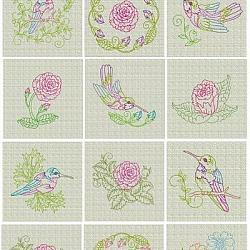 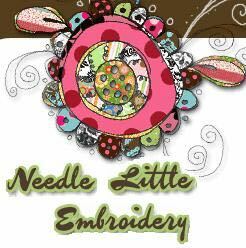 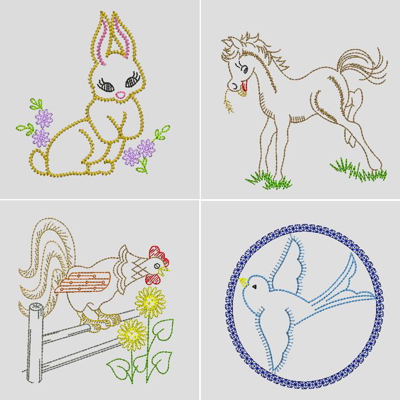 This sampler set features 12 vintage embroidery designs with something for everyone and any occassion! 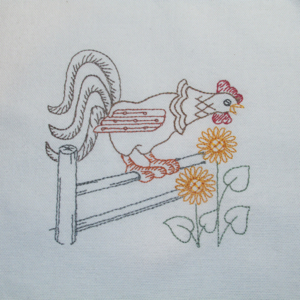 The diversity of this sampler will add that touch of nostalgia for the sewing room, the kitchen, the dining room & even the bedroom! 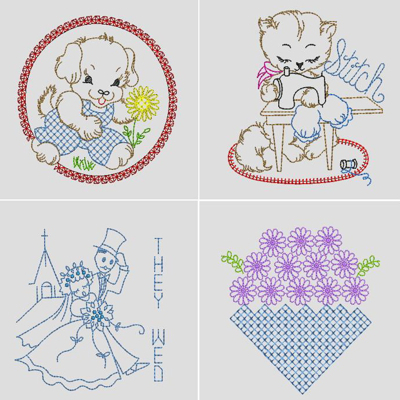 There's even something for children, babies & newlyweds too! 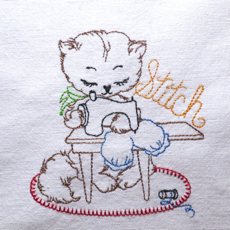 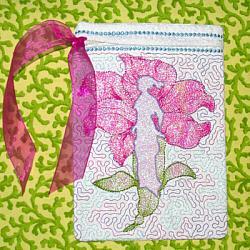 Sweet simple stitches that are quick to stitch but long on enjoyment. 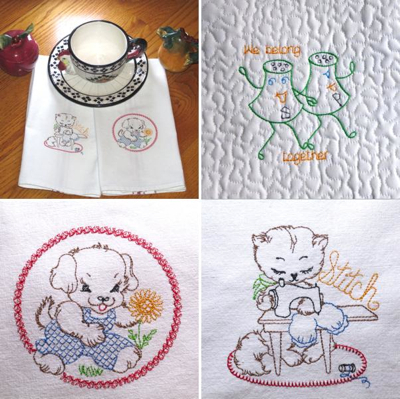 From towels to bibs , pot holders to toddler tops, you'll find a just right design to make that last minuet special gift or fancy up a present just for you! 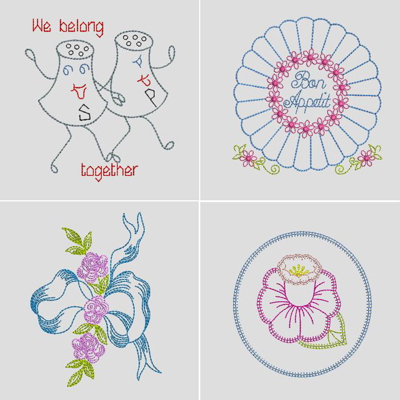 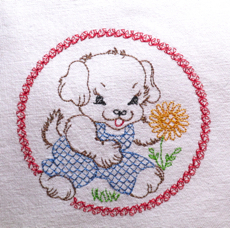 A ribboned pillow case, salt & pepper kitchen towels, a puppy romper, a rooster valance, or bon appetit napkins, floral guest towels for the powder room, the ideas could go on & on! 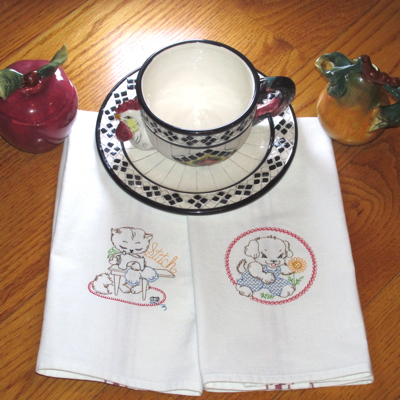 You'll find this versatile set will spark many ideas & best yet be your always gift ready, trip down memory road!